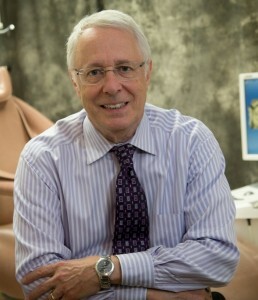 The entire team at Beautiful Smiles is very proud to announce that our own Dr. Harold A. Pollack has been named a 2016 Top Dentist in New Jersey Monthly Magazine! For the fifth time, Dr. Pollack’s peers have recognized Dr. Pollack with this wonderful honor, singling him out as one of the best dentists in the state. NJ Monthly surveys thousands of dentists across New Jersey every year to find out whom they believe represents the best of the best among them. This year, 6,913 New Jersey dentists were given the survey. Once the eligible ballots were submitted and tallied, those with a sufficient amount of votes were provided to a professional advisory board composed of 20 dentists, who then chose the winning dentists from among those who got the most votes. For more than 35 years, Dr. Pollack has been dedicated to providing patients in our area with the best general and cosmetic dental care possible. He truly believes in treating each and every person who walks through our doors as a member of his own family. Dr. Pollack says he is humbled and honored to once again be recognized as a Top Dentist, and notes that this just reinforces his overall mission to provide patients with the absolute best care in the area.